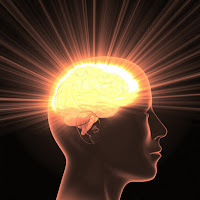 I am going to post a mantra in this post which will be very beneficial for those who are looking to increase their brain power, memory and concentration. I have used it successfully on thousands of people. The name of the mantra is Medhaa Dakshinamoorty Mantra. With complete faith and devotion, the above mantra should be recited for 108 times daily. Dear Gauravji, do you have any mantra to increase sexual power ? Please tell me. I need it very much. Thank you in adnave. Thank you very much for sharing this vital information. I have two questions. 1) Does reciting Medhaa Dakshinamoorty Mantra increase our IQ & EQ? 2) Is it necessary to use red colour cloth as Asan? I have Dharbhasan. Will that serve purpose? Sir, please guide me in this regard. MY DOB 31 Jan 1976 : Born on saturday at Morning 11.05. Place Hassan. Can you please advise on two important things in our life. 1) When will we purchase own small apartment. Trying from 8 years. 2) We have small plot in my fathers name. Would like to sell for good price. Will it happen in 2016?Father not alive. I need to learn driving,get anxious whenever I drive on main roads.plzz suggest me some remedy so that I can drive perfectly without getting nervous. Thanks in Advance!